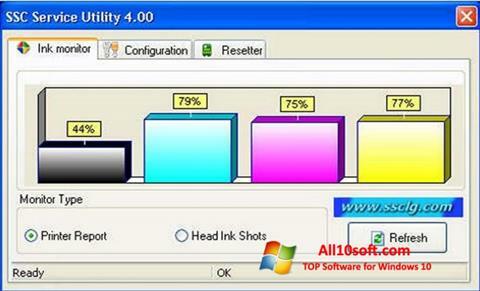 SSC Service Utility for Windows 10 - software that will certainly interest the owners of inkjet printers manufactured by Epson. With it, you can significantly save on consumables. Reduces ink and ink usage. This software during its work closely interacts with the component CSIC. Freezes integrated ink counters, resets their indicators. Allows you to reset and reflash chips, perform hot-swappable components. Special attention is given to the cleaning function implemented in this program. She works separately with colored and black and white heads. You can free download SSC Service Utility official latest version for Windows 10 in English.